Home /Team /Research fellows /Simon Laros, Dipl. Wi.-Ing. Simon Laros graduated with a degree in Economic Engineering with a focus on Energy and Environmental Management from the University of Flensburg in October 2010. Within the framework of his studies, he completed an internship at the PSE AG in Freiburg where he developed a cost analysis for concentrated solar thermal collectors. During a semester abroad at the Udayana University in Indonesia, he initiated, along with two other partners, two awarded project proposals for the Mondialogo Engineering Award, a joint initiative by Daimler AG and UNESCO to strengthen international student cooperation. In his Diploma thesis work, he created a specification for a portable worldwide usable biogas reactor for the treatment of biological wastewater and waste. Since then he has been working for the University of Flensburg on two different projects. For the EU Project Future Renewable Energy (Furgy), Simon Laros is exploring challenges, trends, opportunities and barriers concerned with an expansion of renewable energies in the German-Danish border region. 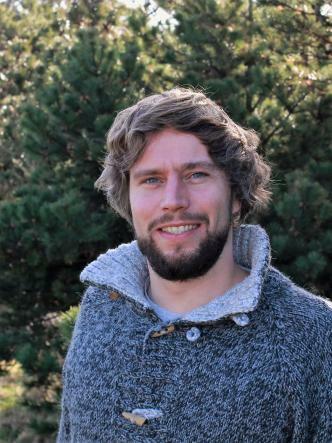 In the project, Klimapakt Flensburg, he is working on the development and implementation of a climate protection concept for the city of Flensburg. In his Doctor thesis work in the EU project Large-Scale Bioenergy Lab, Simon Laros is focused on addressing questions pertaining to socio-economic issues. Since 2015, Simon Laros is the Climate Action Officer of Hochschule Flensburg and Europa-Universität Flensburg. Here you can find the publications the employee contributed to. Forschungsergebnisse 2: Masterplan 100% Klimaschutz.